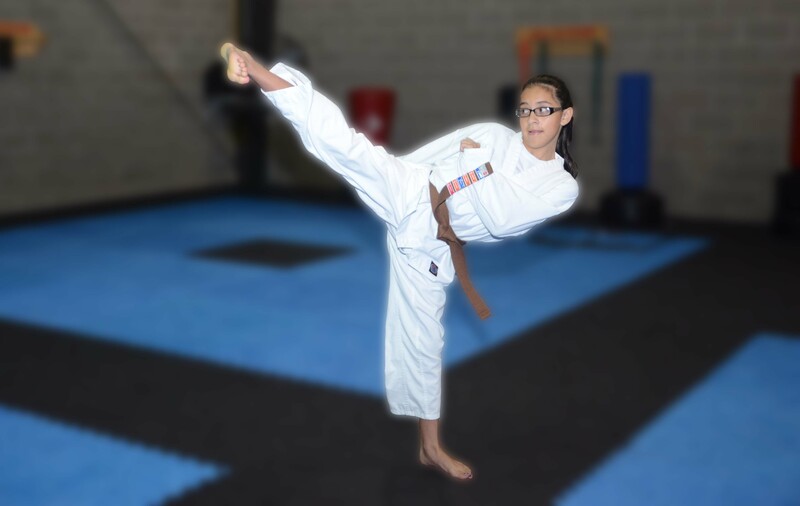 You are leaning Hapkido, which is a Korean Martial Art. 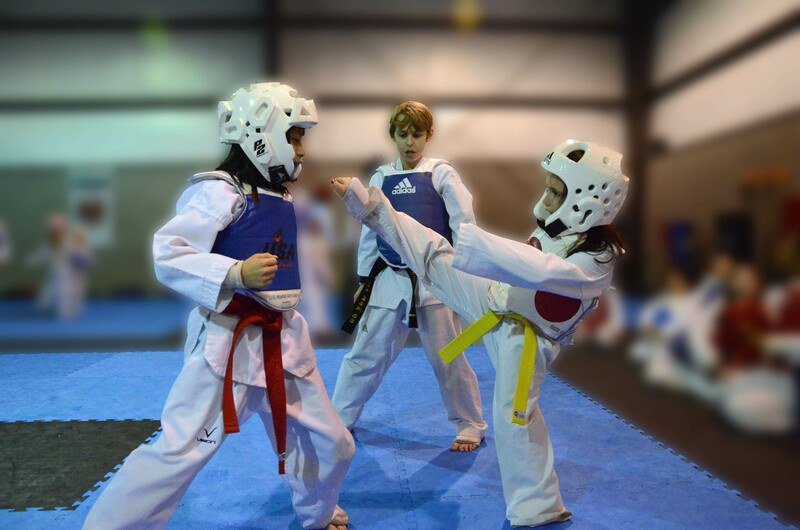 Hapkido means "the way of strength and harmony" or "the way of coordinated power". Hapkido's roots have been traced back as far as 2233 BC from paintings found on temple walls featuring various techniques. Grand Master Choi, Young-Sul (Koreans usually right last name first) is considered to be the founder of art knows Hapkido. However, Grand Master Ji, han-Jae is given credit for giving it the name of Hapkido as well as promoting it around the world. Many ask about the differences in Hapkido (Korean) and Aikido (Japanese) . The founders of both arts, Grand Master Choi and Grand Master Morihei Ueshiba (founder of Akido) both trained together under the same instructor during the 1940's in Japan. Choi returned to Korea at the end of the war and founded Hapkido and Ueshiba remained in Japan and founded Akido. While the Korean and Japanese characters for each art look identical, they are pronounced differently. There was a time in Korea that they considered on changing the name because it sounded like Akido and given the war the Koreans' did not want to be anything like the Japanese. However, they decided not to change it but simply train harder. The main difference in the two arts is the philosophical differences in the Korean and Japanese cultures. An comical example of this is the tale of the Akido Master and the Hapkido masters walking down a trail. A large grass hopper jumps onto the path of the Akido Master. He stops and examines the creature, picks it up and sits off the trail and continues. Then the Hapkido Master is walking down the trail and the grass hopper jumps onto the path in front of him. He looks at it and quickly stomps it, picks it up and eats it and continues on his way. Grand Master West is a 9th Dan in Hapkido. 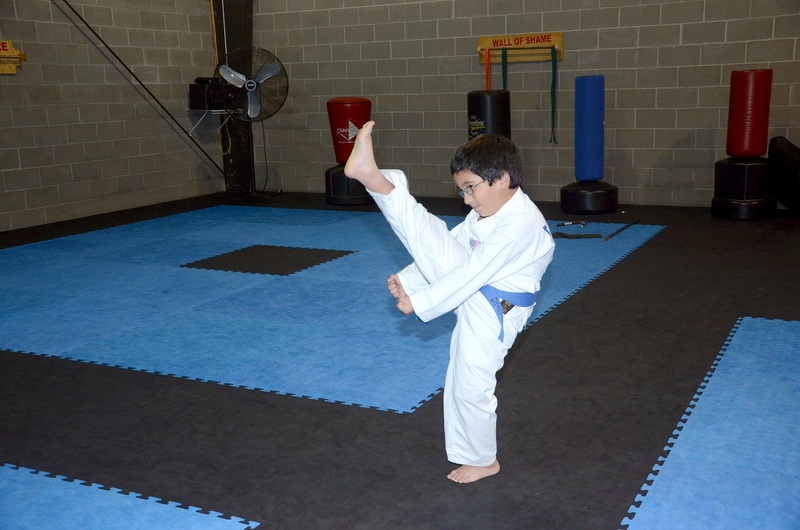 He also holds black belt rank in Taekwondo and Yudo. He begin his training in Vietnam while operating as a radio operator for specials operation unit assigned to the Korean Tigers, Rock Soldiers Division. He received his first black belt there on May 4th 1967. His unit was stationed in Qui Nhon, Vietnam. 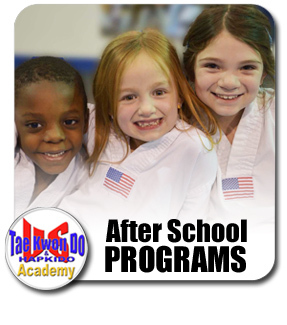 Students, usually under black belts or what we call colored belts wear only black Uniforms. This is to honor Grand Master West's first instructors. They were Kim, jung-Soo and Baek, Nam-Guk. Both were killed in 1971 in Vietnam. Grand Master West founded united States Korean Martial Arts Federation (USKMAF) in the 1970's. It is headquarted in Jackson, MS. It is made up of traditional Korean Martial schools teaching Hapkido, Taekwondo, Tangsoodo, Yudo, Gumdo and other traditional Korean arts. Our system currently has 7 belts. There are 10 Dan's or levels of black belt. 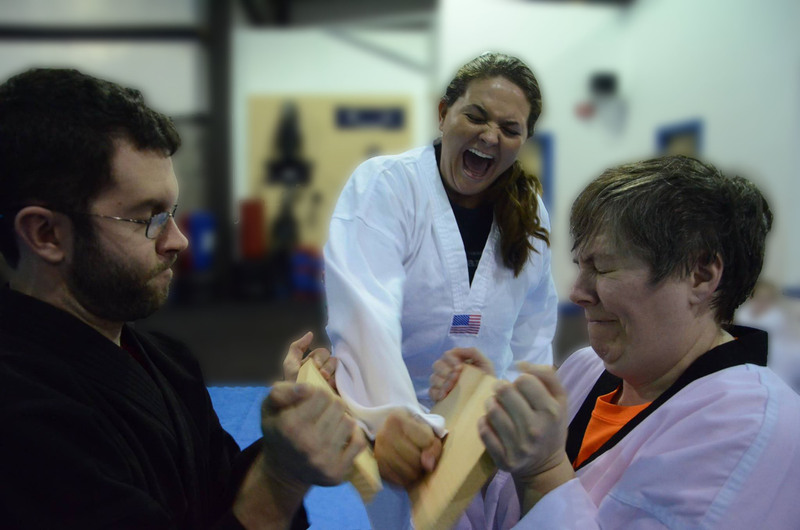 Traditionally no one will receive a 10th Dan unless their life has been dedicated to the art and upon their death it is given as a final honor. However, recently due to the fact that there are so few living legitimate 9th Dans that the Korean Federations have ranked a few as 10th Dan's. Dr. Kimm is one such person. You will be seeing and training with him, at our biannual seminars in Jackson, MS. Part of being a member of the federation is you are required to attend at least two seminars a year that are taught by Grand Master West. One other way to reach 10th Dan is to start your own style. Provided it is recognized by an accredited federation. Our local head instructor is Master Don Holcomb, 6th Dan in Hapkido. He is out of Jackson, TN. 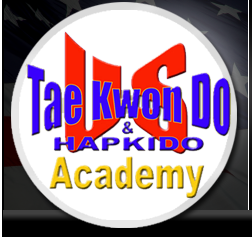 Your instructor is John Oakley, a second degree in Hapkido and a 6th Dan in Taekwondo and co-owner of US Taekwondo and Hapkido Academy. The theory of Hapkido movement according to Dr. Kimm breaks down into three sections. The first is the Theory of Yu or flowing water. Water is soft and adapts but never changes and is very powerful. 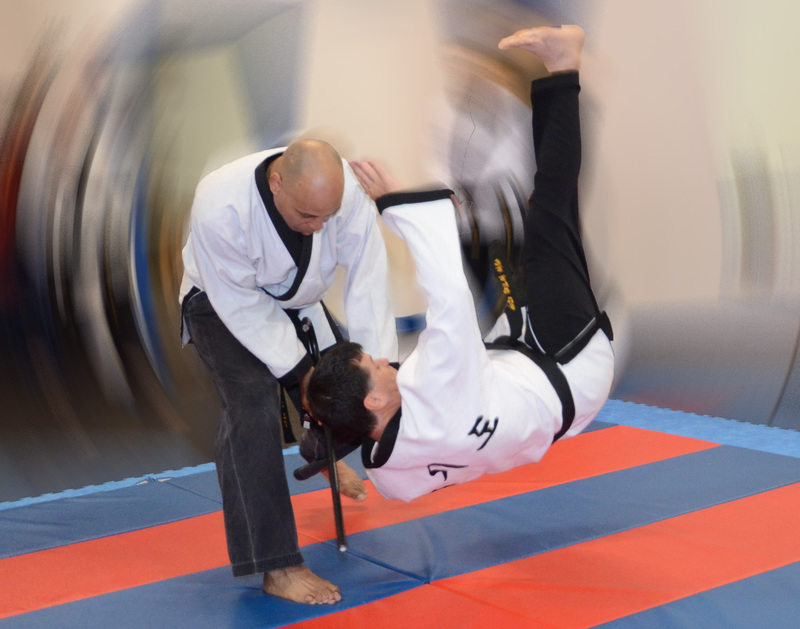 In Hapkido one does not stop an attackers force directly rather the force is redirected. The second Theory is the Theory of Won or Circle. The belt system is an example of this theory. Everyone has their own circle or comfortable are around them. Our techniques work within circles with circler motion. The third and final theory is the Theory of Wha or Harmony. Doing something over and over until it takes no conscious thought. For a more in depth narrative of the these theories please read Dr. Kimm's book, Hapkido II, specifically page 74 and 75.